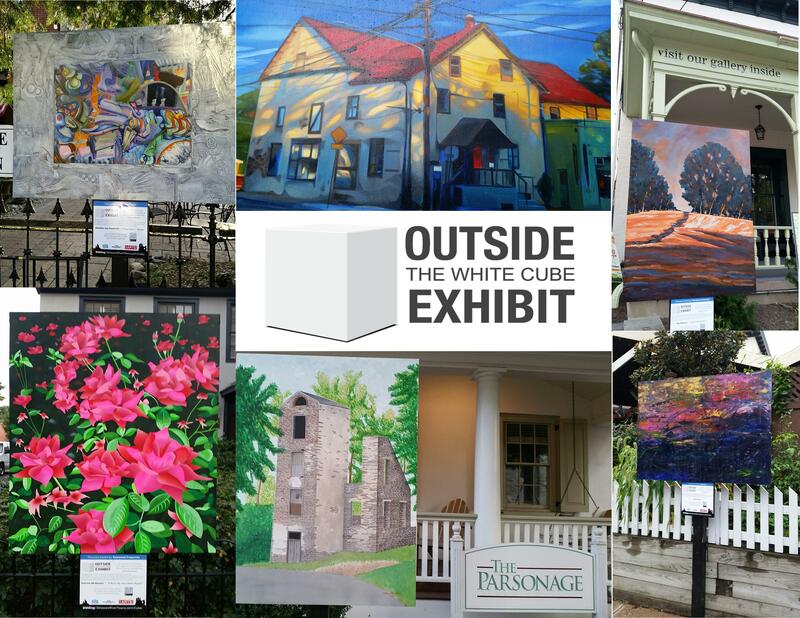 OUTSIDE THE WHITE CUBE, a public art display and auction takes place September 17 – October 21, 2018 in Lambertville, NJ and New Hope, PA. Original works of art will be on display outdoors until October1 7. The indoor display and reception has been rescheduled. New Hope Arts Center, October 13 & 14. “Outside the White Cube” is a two-town display of public art. The Delaware River Towns Chamber of Commerce along with our Presenting Sponsor Visit Bucks County, and New Hope Arts are excited to announce a unique outdoor art exhibition in New Hope and Lambertville. The exhibit features works from 24 local artists and is displayed throughout the two communities from Sept 17th to Oct 17th. The outdoor show will close on Oct 17th. There us still time to bid online silent auction. An interactive map is available here to help visitors navigate the show and place bids. All are encouraged to come to town and view these original works of art. The goal of the show is to showcase the many talented artists that reside in our Delaware River Towns and to make their work readily available to the general public.